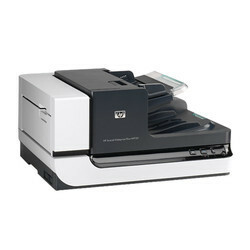 Offering you a complete choice of products which include hp scanjet 3000 s3, hp scanjet n9120 document scanner, hp scanner 2500 f1 and hp scanjet 3500 f1. Manage projects and workflows quickly and confidently. Easily handle mixed media, and get one-pass duplex scanning with speeds up to 35 ppm/70 ipm.Scan to mobile devices for on-the-go control. Recommended for 3,500 pages per day. 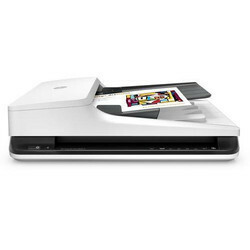 A Heavy Duty A3 Size Document Scanner. Easily integrate this 28 x 43cm flatbed scanner into your office. Create custom workflow profiles using HP Smart Document Scan Software and scan with confidence at up to 50 ppm/100 ipm. Use the 200-page automatic document feeder for big scan jobs. 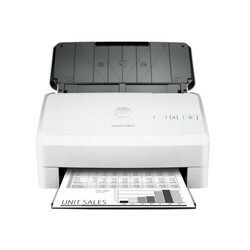 HP ScanJet Pro—automate routine tasks with fast, two-sided scanning, a 50-page ADF, and one-button shortcuts. Get reliable, high-speed scanning for complex projects – this scanner can handle 3,000 sheets per day.